Acne is basically a common cause of spots. It is an issue faced by many people between the age of 12-25. Usually boys are more commonly affected more in comparison to girls. Acne is a problem that is seen mostly on faces, neck and back. These body areas are to be protected from sun, dirt and pollution. The gravity can range from mild to severe. Some of the teenage group are too a prey of this problem. Often the problem is mild, and is most probably treatable. One may need few months to clear spots. Acne occur when the trapped sebum is ideal, the germ that is the bacterium called acnes to multiply and live there are create dark spots and then the pimple inflammation takes place . The inflamed spot heal eventually, sometimes the inflamed area remains discolored for few months, after the inflammation has gone. This is noticeable in dark skinned people. Squeezing acne can cause more of pimples and the condition gets worst, so one has to avoid touching it. The things that make acne worse are hormonal changes, sweating. On the other hand anabolic steroids, sugar milk products can worsen the condition. There are many PCA skin acne treatments in San Diego that help you have a better living. Many salons offer skin acne treatments that include acne solutions like acne facial solutions, acne specific add on treatments and many more depending upon the condition. 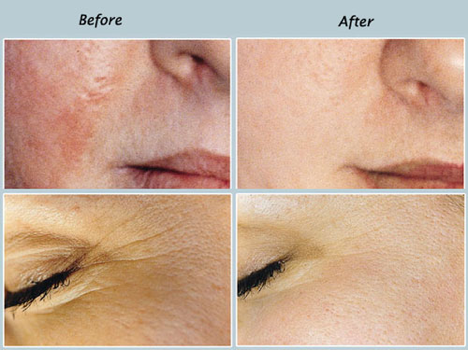 All these skin treatments can heal the affected areas in a short time span. Many salons have the best dermatologists for acne treatments; people who’re suffering from acne issues can consult them as this issue is treatable. Many of them gain their confidence back as they suffer from being a victim. Are you tired of looking older than your actual age? Are you looking for effective & reliable facial solution? Have you ever heard about the latest facial treatments available in the market? If any of the above mentioned questions related to you in any case, then you’re looking for a perfect solution for flawlessly glowing skin. Early aging, dull looking skin and blemishing marks on the skin are very common skin issues among the women in today’s life. But now, no more need to bother about it anymore, as we have the solution of Microdermabrasion facials that is known for its flawlessly glowing skin results. Further, it helps in improving the appearance of the skin acne, scars, clogged pores, etc. Apart from these, this treatment also elevates the texture & tone of the skin by making it brighter, smoother & softer than ever.